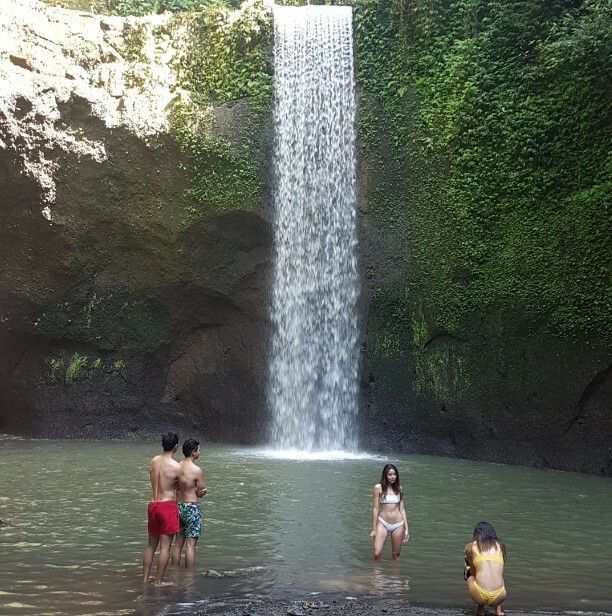 Tibumana Waterfall is a hidden gem of nature destination near Ubud, Bali. Along with the Tukad Cepung Waterfall, the Tibumana Waterfall is one of the recommended waterfalls to visit around Ubud. To access the destination, it is not that hard and you don't have to put extra effort to reach the place. During your way to get to the waterfall, you will see palm tree roads and amazing rice fields. This place is among the top hidden gem of natural paradise in all Bali, especially around the Central Bali. To be fair, international tourists here are not that many compared to the similar destination, Tukad Cepung waterfall. Here, you will find more local tourists but it shouldn't be a problem. The best time to visit this waterfall is around noon, so you can access the destination in daylight and enjoy the beautiful scenery. You will probably enjoy the road during your way to reach the destination. The scenic palm trees are scattered beautifully along your way to the waterfall. The road to get there is quite easy and simple. There will be bamboo bridges along the road, but there is no spectacular scene that will make you amazed aside from the scenic palm trees. The important thing is that the bridge is safe to be crossed, including by children. The time needed to reach the waterfall is around 10 minutes. When you reach the destination, you will find locals that observe your activity on the waterfall on a hut. This hut is open for public, so if you think that the people on the hut disturb your visit on the waterfall you may just focus on the photography instead of swimming around the waterfall. But, most of the tourists enjoy this environment. You can also access the hut for a photography session. 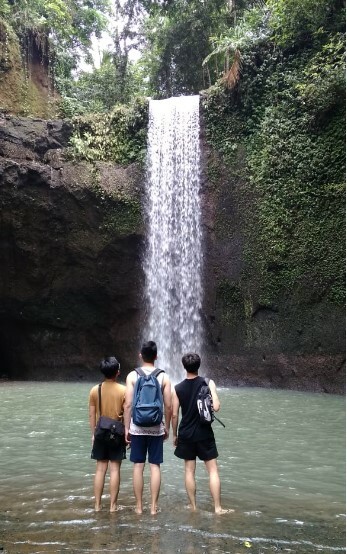 Be adventurous and enjoy the waterfall by swimming around the area or chilling on the hut around the waterfall, Tibumana Waterfall will be a great place to visit during your holiday in Ubud, Bali. Best way to explore tibumana here ! There are several options regarding the place to stay when you want to visit the waterfall. It is best to sort your option based on the availability of your budget. The common categories are luxurious, middle budget, and low budget accommodation. From there, you should plan your itinerary and how much money you will spend on the trip so that you can pick the best accommodation based on your needs. For a luxurious option, you may probably check the Alaya Resort. This place is quite luxurious and reflects well with the budget you will spend per night. Also, there is another fancy place called Hanging Gardens of Bali, which is located near Ubud, Bali. If you are looking for middle budget accommodation, then you can try to check Pertiwi Bisma, which is located around the waterfall. The villa here is comfortable and you will enjoy your time here because the budget reflects well with the provided facility. 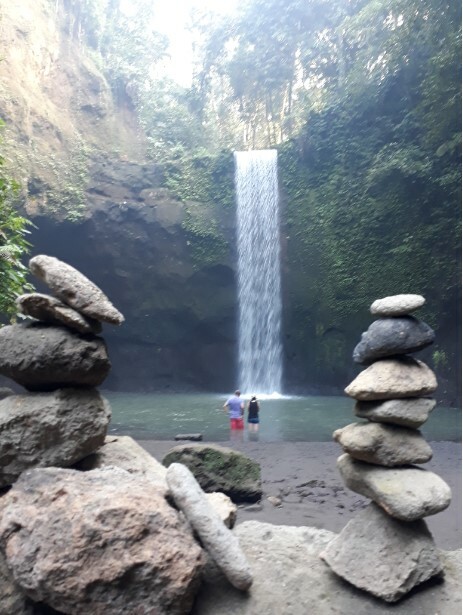 If you want to visit the Tibumana Waterfall with a low budget, then you can try Sila Urip Guest House for your accommodation.